With so many websites on our system and an automated notification system which lets you know if your scripts are out of date, we are happy to always know that a large majority of our sites are running the latest and most secure releases of the latest scripts, such as WordPress. Our system is designed to always make sure that your scripts are up to date and send you email notification if they are not, letting you know to upgrade them. Not to mention the one click WordPress installation which our customers love! However, technologies like WordPress are so fast paced and change a lot. 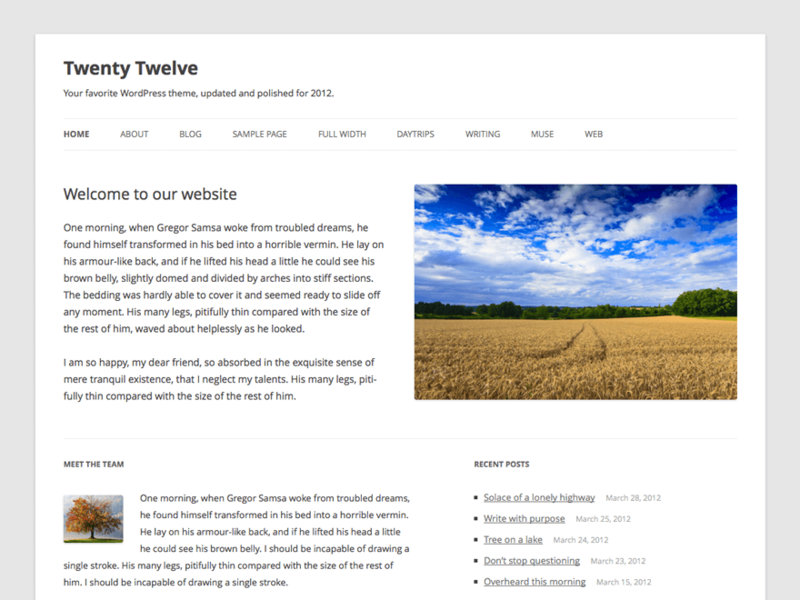 If you have used WordPress for a long time, not a couple versions away we had an old simple UI with no AJAX or responsiveness, but the project has come a long way from since it was first established. WordPress is undoubtedly the script of choice if you want to start a blog, it has an immense ecosystem of plugins that can make WordPress do a large variety of things and a huge theme base which allows you to customize the looks of your website, we have even seen it used for more than blogging, such as a content management system and even eCommerce websites! This will hide all those warnings and your page should appear properly without those errors, however, the plugin is most probably still malfunctioning. The first step is to make sure all your plugins are updated, as the developer might have resolved that issue already! If all your scripts are up to date, then you can look at the error and try to identify the theme or plugin that’s causing that issue, as you read from the error we wrote above, you’ll notice classipress which links it to the ClassiPress theme, you can then contact the developer so they can look into it, possibly including this helpful post by Andrew Nacin, once of the lead and core developers of wordpress. TL;DR: Upgrade your plugins, if you are still seeing the error, contact the plugin developer!